Arsenal will host Manchester United in London this weekend. With only nine matches remaining for most clubs, the 2018-19 Premier League campaign is entering its final stage. This season has proved to be competitive and many narratives have been written thus far. Manchester City and Liverpool are in a close race for the title, while Tottenham Hotspur, Manchester United, Arsenal and Chelsea are battling it out for the remaining two Champions League spots. At the other end of the table, multiple clubs are fighting to avoid relegation. All 20 teams will be in action this weekend and it will be interesting to see how the standings will shift on Sunday evening. That being said, here are three matches that you should keep an eye on this weekend. Although this match does not necessarily scream high television ratings, it is still an important game that could alter the table in two key ways. For starters, if Cardiff City can break their current slump and win, they would drag teams like Leicester City, Bournemouth and Crystal Palace back into the relegation mix. 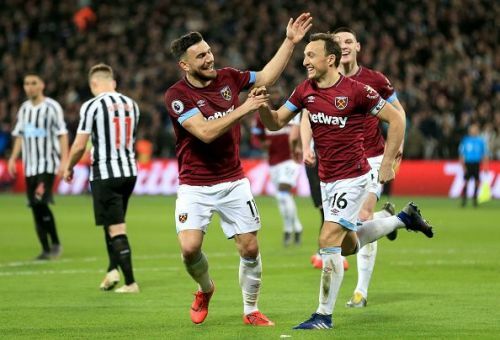 West Ham players celebrating a goal against Newcastle last weekend. On the other hand, a victory for West Ham would see them remain firmly in the race for European football next season. The Hammers could only be one point behind Watford (8th) and Wolverhampton (7th) with a win in Wales this weekend. Both teams are expected to play with urgency in this affair. 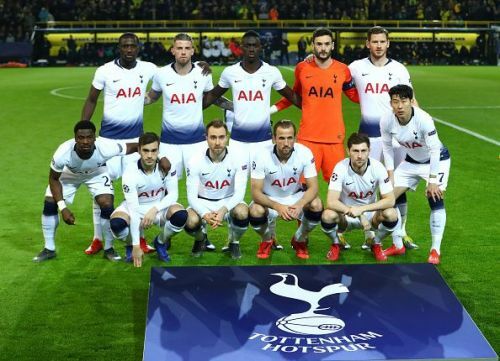 Tottenham are coming off an impressive 1-0 victory against Dortmund, a match which saw the Premier League side eliminate the German giants from the Champions League. Southampton, on the other hand, will head into the match on the back of a devastating 3-2 loss at Old Trafford. This match made the list because the outcome will have a significant impact at both ends of the table. The Saints need this win if they want to go five points clear off the drop zone. Tottenham need a win to maintain their three-point lead over fourth-placed Manchester United. The most interesting match of the weekend is none other than Arsenal hosting Manchester United at the Emirates. Both teams are entering this match with some momentum as they are both in decent form. 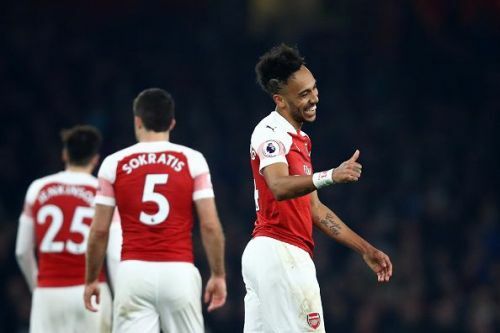 Arsenal have earned three victories and a draw in their last four league matches, with Manchester United also having the exact same record. 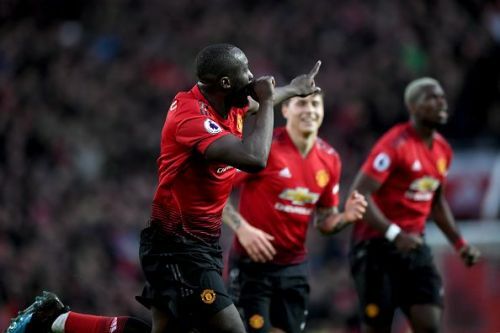 Two goals from Romelu Lukaku saved Manchester United last weekend. The Red Devils are currently just one spot above the Gunners, with only a point separating the two sides. A draw would only maintain their current difference, but a victory by either side could change things, especially if Chelsea win against Wolverhampton. Arsenal need a win to leapfrog Manchester United, while the Red Devils need a win to extend their advantage by four points. As mentioned earlier, a loss for Tottenham and a win for Manchester United would see both teams level with 61 points.